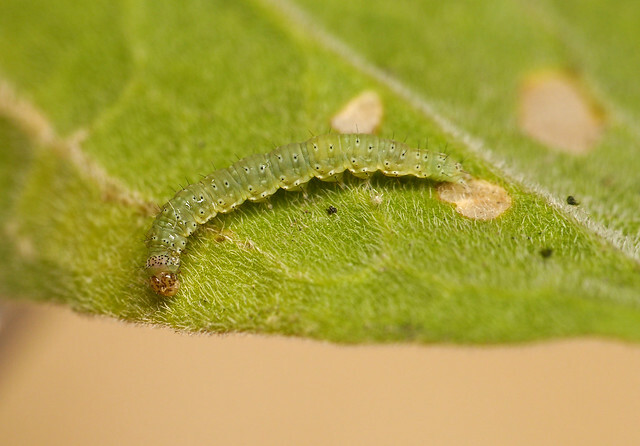 I am often guilty of moaning about how difficult it seems to be to find larvae of reasonably common species of micro moth. It often feels that numbers are so low that finding caterpillars, cases, mines etc. is getting to be very hard and discouraging work. Thankfully, the occasional success makes all the time spent poking about in the foliage worthwhile. This spring, from the car, I had noticed some odd looking umbelifer like plants with full leaves growing on the road sides outside Broadway and Evesham. I happened to spot a likely match in my wild flower book the other day. Not an umbelifer at all but Hoary Cress - Lepidum draba, a plant I have always wanted to locate because it is the food plant of a very smart black and white micro moth, Eidophasia messingiella. I have never caught the adult at light and the existing county records are, for the most part, few and widely spaced 'one offs' making it a difficult species to target. 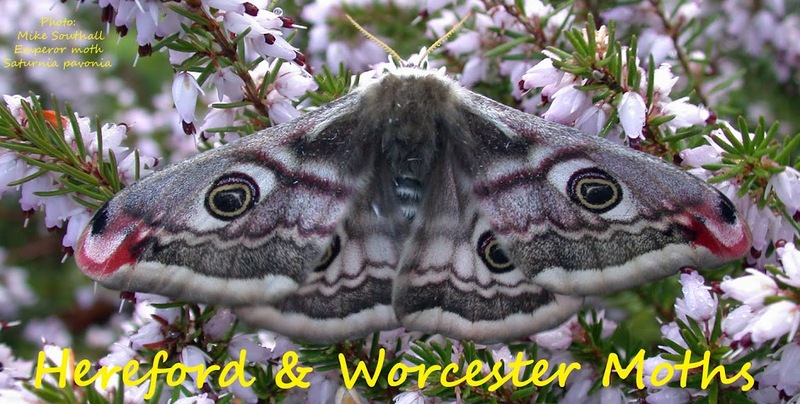 Added to that, in their Atlas, Tony Simpson and Mike Harper had noted that they had never found the larvae on this plant in either Herefordshire or Worcestershire and suggested it was likely feeding on related Cardamine plants but they had not been able to prove this. In spite of this I felt that there were enough good sized patches of the plant around to make it worth a look. The plants seem to like to be within inches of the carriageway of busy main roads, so it took me a while to find a patch that was easily accessible. 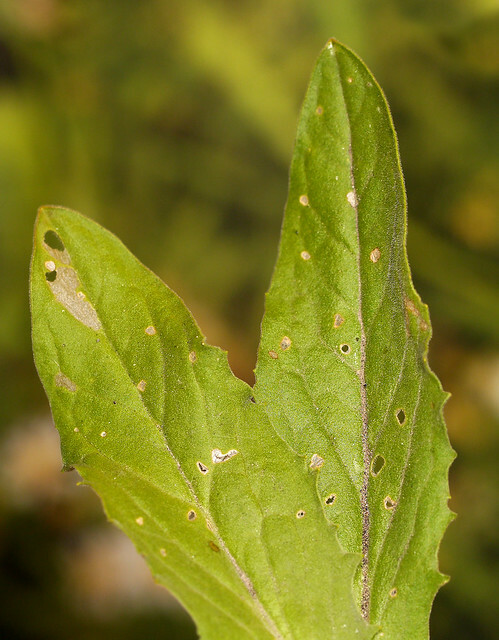 In the end the first clump of plants I looked at showed the characteristic feeding signs of pepper pot holes and larger windowed areas in the leaves and produced three larvae. Hopefully I will be able to get these through to adult moths in due course. Nice work Oliver, I have seen the adult in Herefordshire, but of course, mothing is easy over there 😃. I think this site should be congratulated for a succession of interesting posts. Dodford Garden 26th May. Pammene albuginana ?